According to views of E3 2017 trailers released, industry coverage and “fan uploaded reactions,” YouTube determined Star Wars Battlefront 2 the big winner of the show out of over 200 games with major announcements. Miss anything out of E3 2017? You can check out all the games, news and trailers right here in this handy round-up. Not only did Star Wars Battlefront 2 have the most viewed trailer of E3 2017, it was also the most popular game across all videos uploaded with over 7.9 million views. As of press time, the video has been viewed 9,038,818 times. 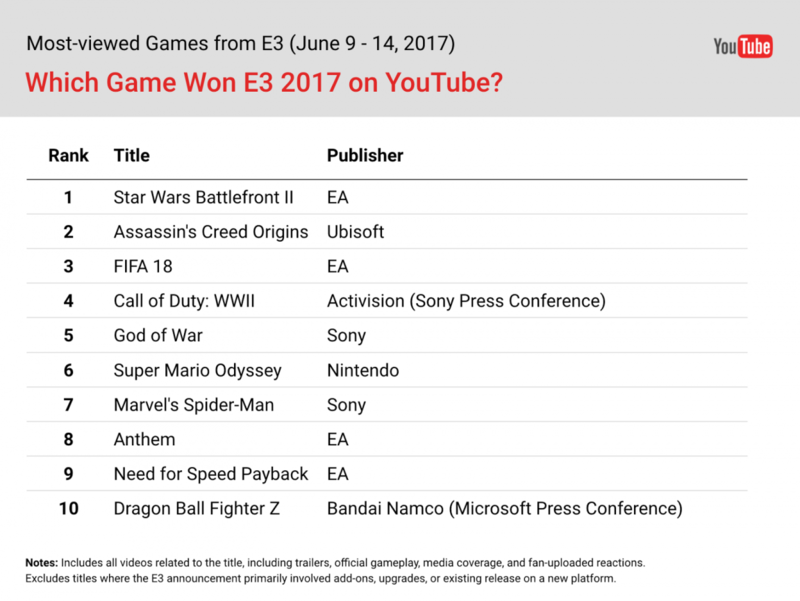 Super Mario Odyssey came in second with 5.5 million views, according to YouTube. The image above shows how each major announcement at E3 fared across all videos released, not just the official trailer, as noted at the beginning of the post. 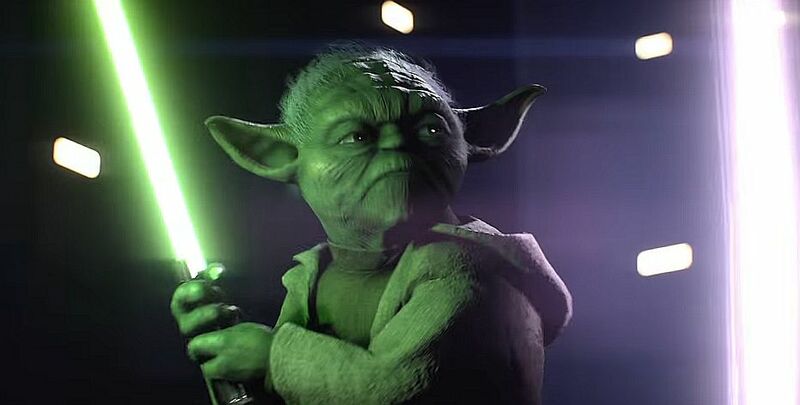 Star Wars Battlefront 2 releases on November 17 for PC, PS4 and Xbox One. A multiplayer beta kicks off in the fall.